When it comes to protecting our customer’s personal data, we ensure the utmost privacy to our clients. Here, you’ll see the policies that we have established that will afford you peace of mind, when it comes to your information. Any advertising on our website is designed, in such a way, as to not function as a “collector” of personal information that can be stored in an information “list” or “database”, for the purposes of selling that information to a third party. These third parties are to include; marketing promotions or agencies that are interested in the location of any individual. This policy also includes any advertising that may link to another site or redirect to another location that engages in data collection. Any site that has been designed to collect a user’s personal information without the consent of that user. Should any personal data (or other sensitive information) such as; health-related, financial, or any information that is contained in a state or federal government I.D. be collected, it must be done on a secured site that is to be hosted on a server that is secured in a manner consistent with SSL (using https). This is to be done only when absolutely necessary and with the consent of the user. It is our responsibility to adhere to any and all regulations and applicable federal and state laws that are in place, in order to protect the personal data and afford a user’s legal right to privacy. Forms, applications and other sources that you may need to provide us. These sources may include; electronic, telephone, in person communication or in writing. The information that you may need to provide us may include; name, your address, phone number or email. 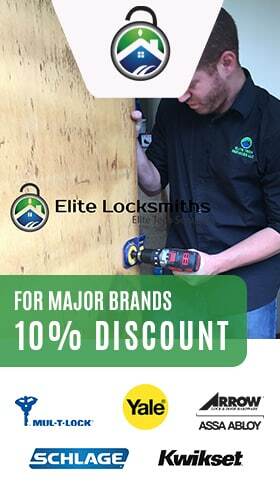 Any other information that we receive, as part of your transaction(s) with Elite Locksmiths. If you have agreed to accept email messages from our company, we reserve the right to retain any information that we feel, in good faith, may be used to facilitate our services to you, in the future. In any case, it is in your best interest to carefully decide on the information that you provide in any business transaction, whether online, in writing or verbally. At Elite Locksmiths, we strive to provide you with the highest level of security that we can, in order to protect our customers.